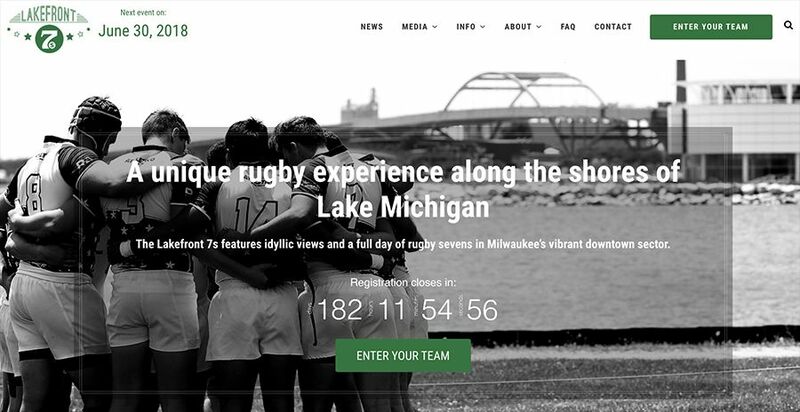 Lakefront 7s today launched it’s new website in preparations for the 2018 tournament and festival. We’d just like to say a big THANK YOU to everyone who participated in our Milwaukee food drive for the Hunger Task Force at the 2017 Lakefront 7s rugby festival on Saturday. 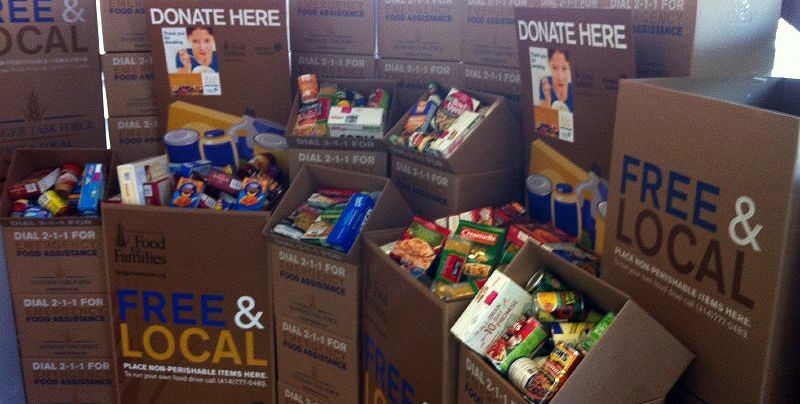 We blew away our 200-pound goal and collected 665 pounds of food! In addition to the people who donated items in Saturday, we’re grateful for both generous volunteers — Ryan Duklas and Kurt Kinderfather in particular — as well as our corporate partners below. Local TV station TMJ4 visited the Lakefront 7s rugby tournament and festival today to checkout our the 35th anniversary of the event. In addition to some great team footage, TMJ4 caught up with tournament director Erik Schleicher who shared his thoughts on how rugby is for everyone. It’s not as rough as everybody says it is. Rugby is for everybody. The little guy. The big guy. The hipster guy. The cool guy. The fat guy. We don’t discriminate. Indeed, you’ll find all shapes, sizes, and ages at the Lakefront 7s festival. Thanks to TMJ4 for making the trip to the Lakefront! Highlights of the 2017 Lakefront 7s. The High School Girls final was a defensive battle with only a conversion kick separating the two teams. The Hawkettes (Des Moines, IA) met the Wisconsin All-Stars in the pairing. The final score was the lowest combined total of all the championships with the Hawkettes on top 14-12. For the High School Boys the Wildcats (Eagan, MN) dominated their opponents most of the day. Despite allowing two tries, they put on an offensive masterclass to defeat the Red Dogs (De Pere, WI) 36 – 14 in yet another Minnesota-Wisconsin matchup. 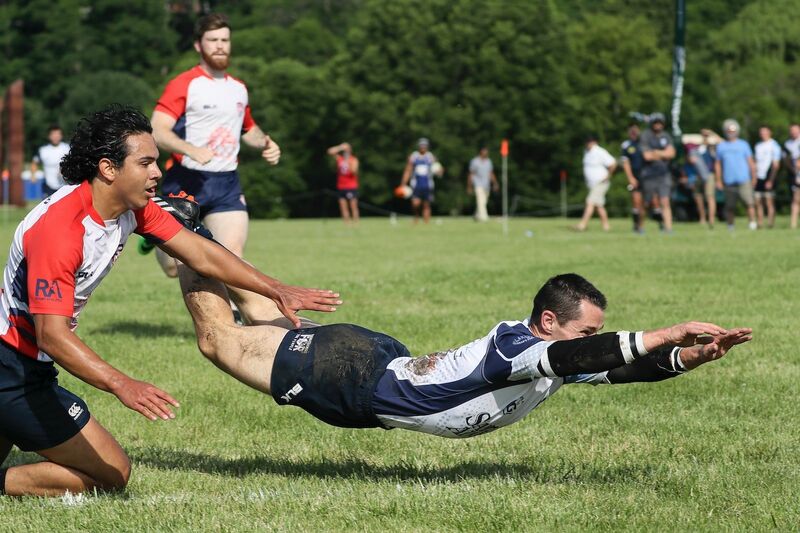 In the morning Men’s Open bracket, the Krakens (Lake Michigan, IN) put in a comprehensive display on both sides of the ball and cruised to a 24 – 7 victory over Viejos Leones (Chicago, IL). The afternoon Men’s Open bracket was much closer with Wisconsin Rugby Club (Madison, WI) scoring 3 tries. However, the Swords (Chicago, IL) dotted down one more try and kicked a few extra conversions to capture the championship with a 28-17 victory. In the Men’s Competitive bracket, Metropolis (Minneapolis, MN) defeated Savage Nation (Milwaukee, WI) 29-12 in a fast-paced final. Metropolis was well-disciplined and showed good stamina following a narrow 19-17 win over Savage Nation in an earlier pool-stage match. Women’s Competitive Final — Youngbloodz vs. T.I.T.S. In the Women’s Open Bracket, the Youngbloodz (Minneapolis, MN) met perennial tournament favorites T.I.T.S. (Milwaukee, WI). The Milwaukee side was starved for possession but made the most of their opportunities and scored twice. Despite the effort and good defense, Youngbloodz made few errors and scored 3 tries of their own to win 21-12.